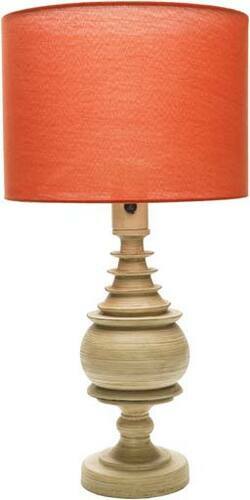 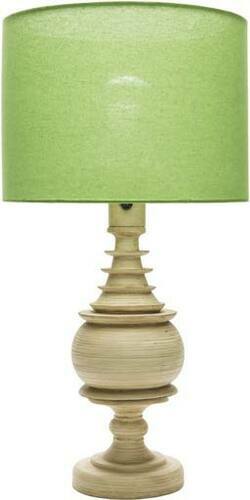 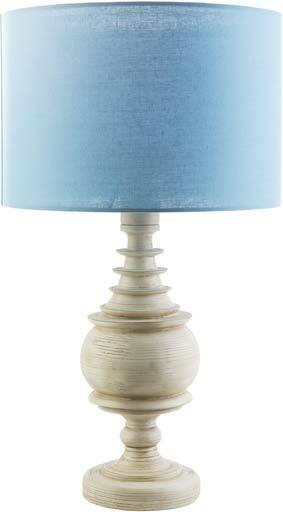 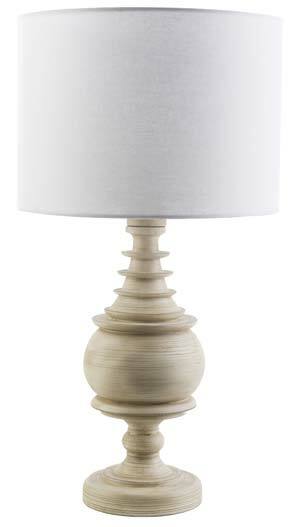 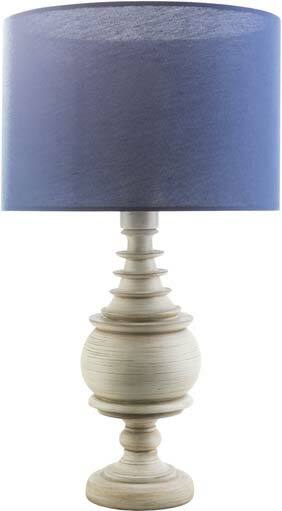 The Spindle Lamp is a classic table lamp and available in many colors to complement any beach room palette. The base is made of resin with an antique finish and the polyester shade measures 14"dia x 10"H. Green & Orange Shade low quantities. Outdoor safe and takes one 100 watt bulb, not included.